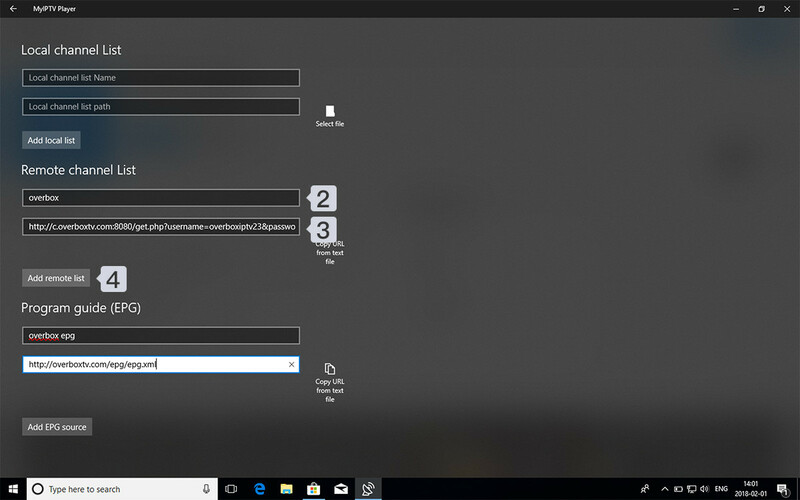 How to setup IPTV on Windows “myIPTV player” App? myIPTV player enable to download from microsoft store for free to Windows , Xbox one and windows phones. 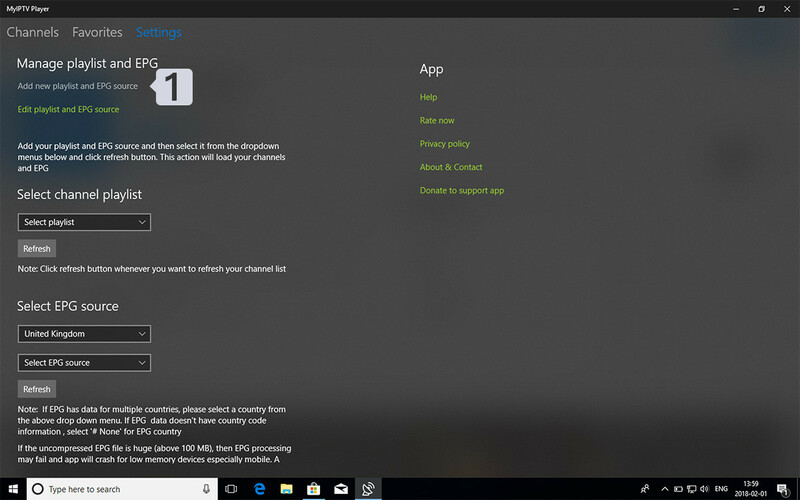 Get “myIPTV player” App from the Microsoft Store and open it. 2- Type overbox in Remote channel list name field. 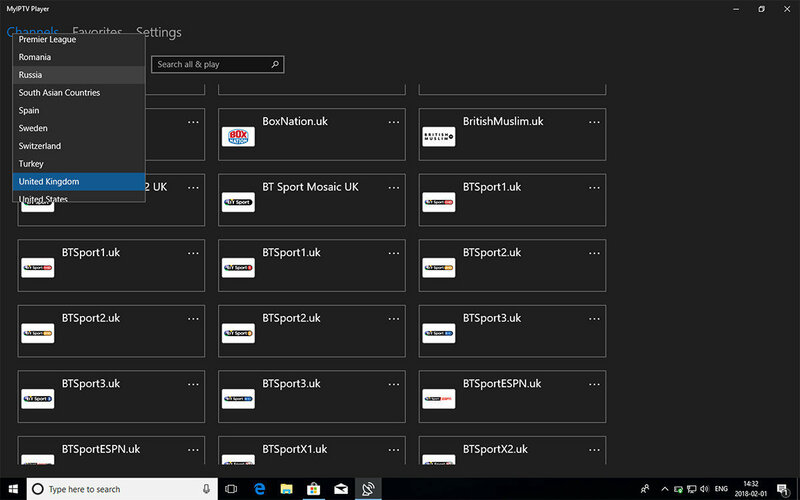 Done , Back to Channels tab now and select your country you want to watch TV channels . Sign up for IPTV subscription now?